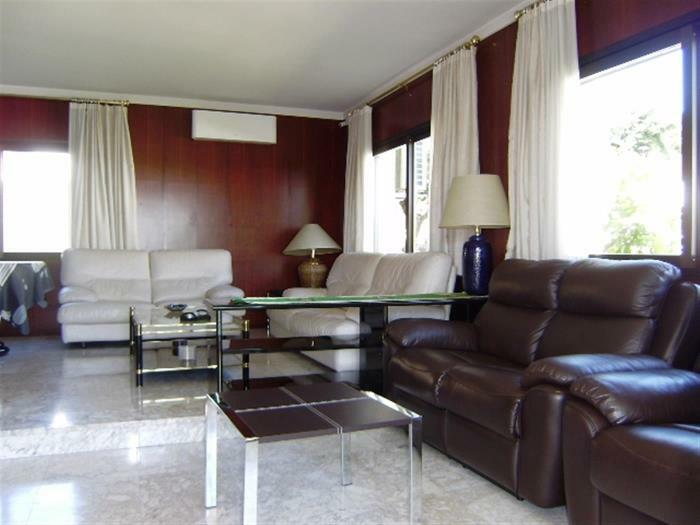 Villa Vilabertran is a very spacious 5 bedroom villa, comfortable and well placed the beach is 350m and supermarkets 400m. The surface area of the villa is 250m2 on three levels and there is garden with lawn and a large private pool that is 11x5 meters. 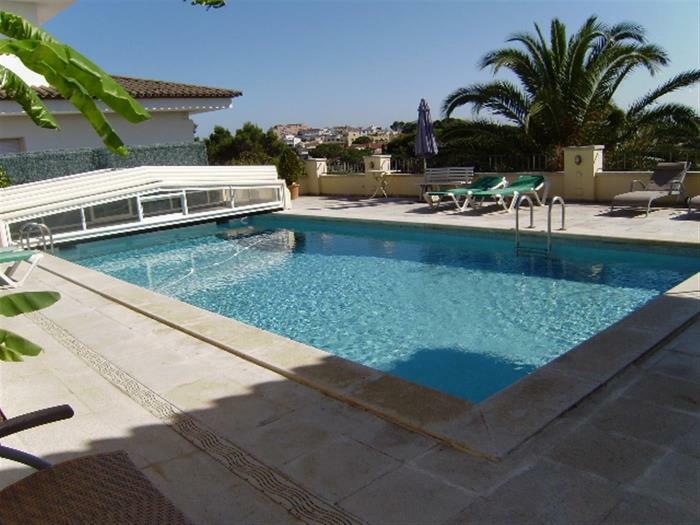 Ground floor which is near the pool, barbecue, garage and a 2nd large dining room, a 2nd kitchen and a shower room. On the first level there is access through the main entrance door and consists of a hall, a bedroom with two single beds, a full bathroom with red tiles, down two steps we have access to two bedrooms each with a double bed and access to the terrace also the master bedroom which has a double bed with ensuite bathroom and exit to the terrace. The large living dining room which communicates with the independent kitchen is also on this level. The upper and last level has a double bed with ensuite shower room and exit to a terrace that has views to the private pool and garden. The living room dining room and kitchen and three bedrooms have access to a large L-shaped terrace which has views pool and private garden and which through a few steps gives direct access to the private pool and garden which are very well maintained and there is plenty of terrace furniture. Both kitchens are very well equipped and each has a hob, oven, large fridge 7 freezer, dishwasher, microwave, coffee maker, toaster and plenty of crockery, cutlery and cooking utensils. There is air conditioning in the living room and in the two main bedrooms and WIFI. Downstairs and near the pool there is a large BBQ area, with room to eat. 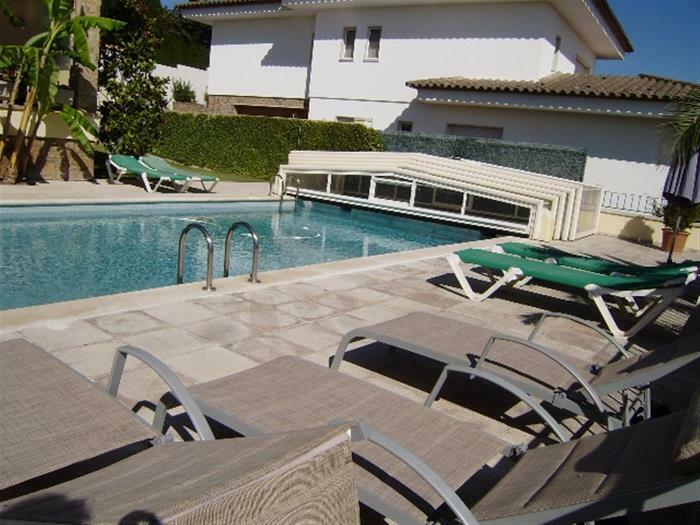 This property is built in a sloping terrain that has a surface of 1000 meters and is located between the street Vilabertran, where is the front door of the villa (which is closer to the town of l'Escala), and the Vilabertran / Empordà crossroads where there is the garage entrance (for two cars) and another exit of the villa (this is closest to the beaches of Empúries, only 350meters, you can walk there). 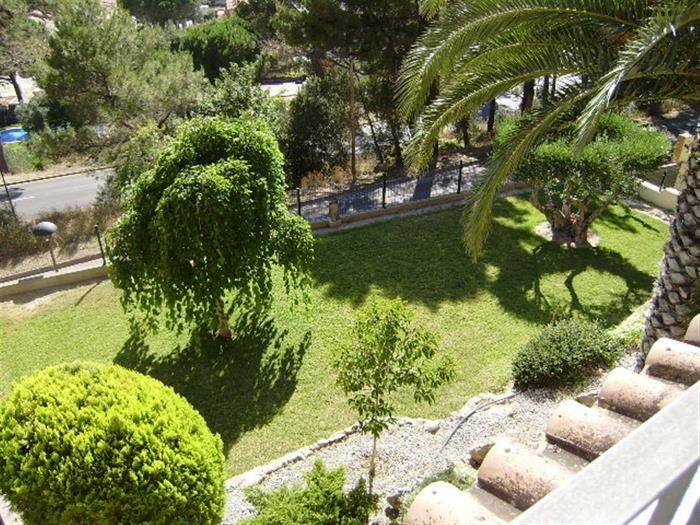 This is a residential and quiet place that is located in the neighborhood of Old L'Escala called Puig Pedró.